The European Commission presented on Thursday (23 November) a report conducted together with the OECD and the European Observatory on Health Systems and Policies. Reducing the burden of avoidable diseases on healthcare systems is high on the EU executive’s priorities. 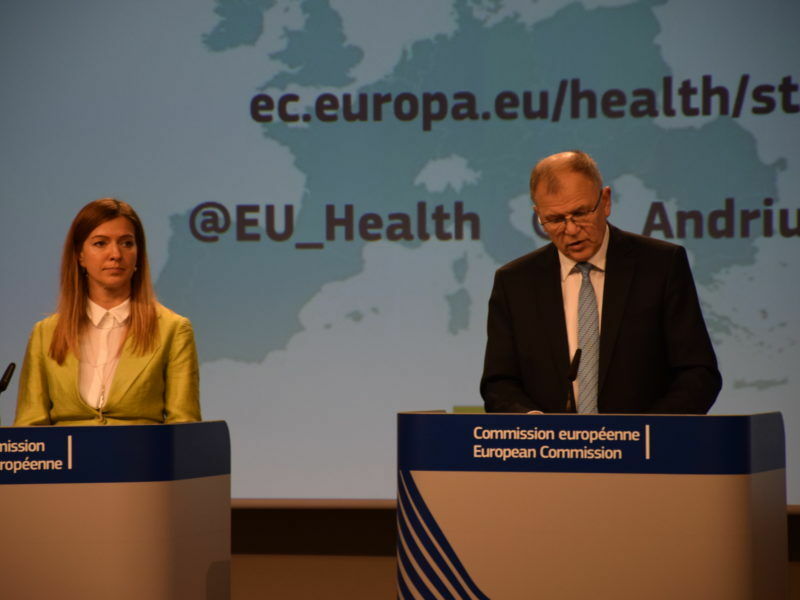 Spending on prevention accounts for only 3% of national health budgets, compared with 80% on the treatment of diseases, a situation that is clearly unbalanced, according to the Commission. Speaking on the sidelines of the event, Andriukaitis stressed the EU Tobacco Product Directive, which entered into force in May 2016, had created a lot of challenges for the tobacco industry. The revised directive introduced a number of strict measures on packaging. For instance, 65% of a pack’s surface should contain a health warning picture as well as text. For the EU health chief, health warnings have had an impact on consumers and many market “deviations” have been noticed from the industry side. “Tobacco products are displayed horizontally on shelves. And you see names, but not pictograms. Why? Because they [tobacco industry] feel that use of tobacco is going down. If you look at market behaviours, they are very worried,” the Lithuanian politician said. He went further, adding that consumers are often given or offered an additional box to put the cigarettes in, with the aim of “hiding” the unattractive health warnings. Andriukaitis also spoke about the new electronic devices which have entered the EU market. “The tobacco industry is doing a lot in the use of new electronic devices. They are using cigarettes with heating instruments. They are new and they are not covered by directives,” he said. He warned about stronger legislation against e-cigarettes. “I see possibilities to encourage our agents to look into electronic cigarettes, and how to go into the direction of stronger regulation of electronic cigarettes. And how to stop advertising and online sales. But frankly speaking, I am optimistic that this directive will be effective,” he noted, referring to normal cigarettes. Another hot issue in relations between the tobacco industry and the Commission is the track and trace system of tobacco products, a provision of the new directive. The European distribution sector also reacted strongly to a recent Commission proposal, claiming that it adds more red tape and complexity and increases operational costs in an ailing sector. But the Commission does not share this view. “They are active in trying to block the track and trace system. We notice plenty of activities in EU countries where tobacco lobbies are very strong and they are blocking this every day,” the Commissioner said. 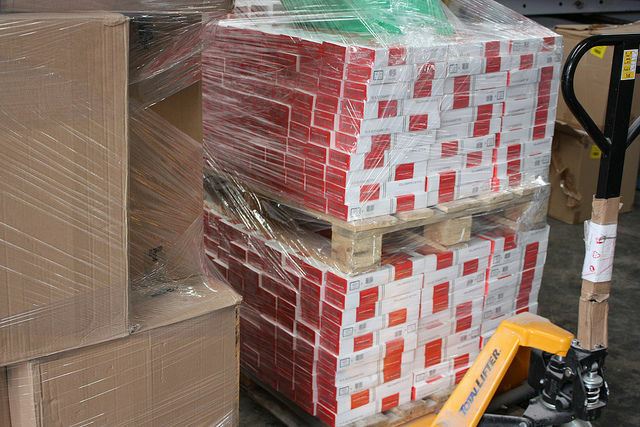 Andriukaitis said it was difficult to achieve the final ratification of the Protocol to Eliminate Illicit Trade in Tobacco Products, a 2012 World Health Organisation treaty designed to combat the worldwide illicit tobacco trade. “It combines the Tobacco Product Directive with illicit trade protocol, which means that you have excellent opportunities to have legally binding obligations around the globe in every country to reduce production of tobacco. […] A lot of companies are producing cigarettes in third countries and they have very sophisticated systems of distribution such as cheap white cigarettes,” the Commissioner said. The Commission has ratified the treaty but countries like Germany or Italy have not and the executive is currently pushing for its ratification. “Look around you in Paris’ railway stations. Smuggling is here, and who is the producer? I don’t hear the tobacco industry being against smuggling. Why? Because it is a network of interest, production and distribution,” Andriukaitis emphasised. Andriukaitis added that the executive would fulfil its obligations on track and trace implementing acts. “We see possibilities to adopt those by the end of this year, in order for member states and industry to have time to implement them,” he concluded. Reacting to the publication of this article, Japan Tobacco International, a global tobacco company, told EURACTIV that the Commissioner’s comments were “misleading”. 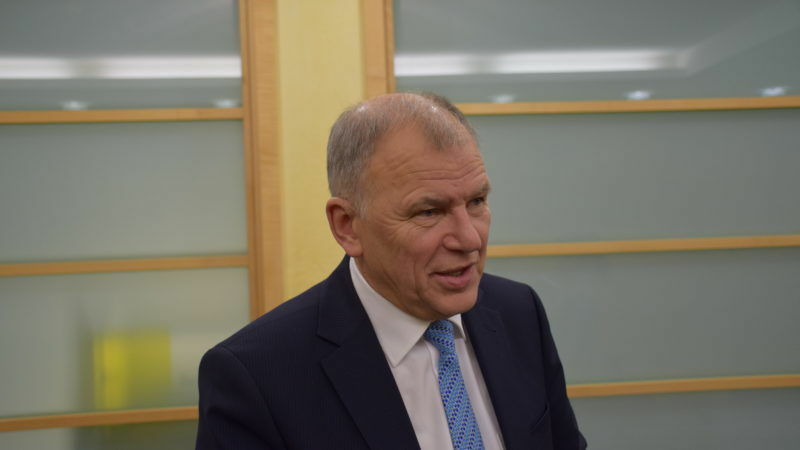 In response to this article, Japan Tobacco International, a global tobacco company, told EURACTIV that EU Health Commissioner Andriukaitis’ “misleading comments only goes to demonstrate how far removed he is from the reality of regulating a legal sector”. “He refers to the tobacco sector as ‘very worried’ about implementing the new EU Tobacco Products Directive. If he would only spare a moment to call his fellow regulators in many EU Member States, he would have heard the feedback that the Directive is so complex that many countries struggled to draft the national laws it required in time. He states that tobacco packs are stacked on their side to “hide” the health warning. Again, he fails to understand that human beings normally hold consumer goods in their hands, and naturally will fully see the new extreme 65% health warnings. Another policy favored by the Commissioner, this time at country level, is plain packaging for tobacco products. In France, where tobacco branding has recently been banned, it has had no effect,” JTI said. “On a roll, Andriukaitis’ states that he doesn’t hear the tobacco industry being against smuggling. Well, typically, our sector is accused of being too vocal in explaining our efforts in tackling the problem, so this is quite refreshing to hear. Earlier this year, JTI publicly supported the Global Illicit Trade Summit in Brussels, for example. Finally, he calls for heavy regulation in the field of E-cigarettes - the same product that Public Health England stated could be 95 percent less harmful than conventional tobacco, and many commentators arguing that this could be a breakthrough in health policy. If he sought dialogue with the industry, perhaps he would be better in touch with reality,” it added. It is every good decision-maker’s duty to study the evidence, take on-board the facts and listen to all relevant stakeholders – particularly those you are seeking to regulate. However, it appears that the EU Health Commissioner is more concerned with making headlines by demonizing a legitimate industry through false accusations than delivering better regulation,” JTI concluded. The most radical solution is to outlaw them but there will be a backlash i.e. with the support of smokers. Hence, ways must be found to prevent from tricks. Need of an authority which monitors their behaviour. There seems that there is no ethics in this industry.